At first, they were the very embodiment of a valid reason to suspect the credentials of TV singing contest winners. But over time, they became one of the most thought-provoking and substantial country music bands. Sawyer Brown began as the backing band for Don King, who had a handful of minor country hits in the late seventies and early eighties. When King stopped touring in 1981, the band decided to strike out on their own. The original lineup of Mark Miller, Bobby Randall, Joe Smyth, Gregg Hubbard, and Jim Scholten named themselves Sawyer Brown after the Nashville street where they often rehearsed. The band quickly earned a reputation on the road, honing the live act that would keep them in the green during all of their ups and downs at country radio. In 1983, they auditioned for the first season of Star Search, where they were th winning act, securing a $100,000 prize which led to a contract with Capitol Records. They were a hit from the start, with a handful of big singles from their first two albums, including “Step That Step” and “Betty’s Bein’ Bad.” As the titles indicate, they built their early career on goofy novelty hits, and were known for their outlandish outfits and campy dance moves. Even though they won the CMA Horizon Award in 1985, they weren’t taken terribly seriously by the country music industry. Their road business never wavered, but as the new traditionalist movement went into full swing, radio airplay was erratic. After “Bad” hit #5 in 1985, the band enjoyed only two more top ten hits in the following five years, one of which was a high-energy cover of the George Jones classic, “The Race is On.” Original guitarist Randall left the band, replaced by Duncan Cameron. Then, in one of the most surprising second acts in country music history, they resurfaced as a major player in the most competitive era the genre has ever seen, and they did it with a string of serious, thought-provoking songs like “The Walk”, which traced a father-son relationship through time; “Cafe on the Corner”, which captured the stories of several small-towners hard hit by the early nineties recession; and “All These Years”, a harrowing look at a faltering marriage that just might be saved by an act of infidelity. The personality was there too, with “Some Girls Do” and “Thank God For You” recapturing the energy of their early hits without the accompanying silliness. For most of the decade, the band would remain hitmakers, finally winning a Vocal Group award from the ACM in 1997, and regularly reaching the upper heights of the charts with well-picked covers and strong self-written material. Their most recent studio album, Mission Temple Fireworks Stand, was among the most critically acclaimed of their career, and spawned their last top forty hit, “They Don’t Understand.” The set was followed in 2008 with a Christmas collection, Rejoice. Their touring schedule remains hectic, with the band regularly playing venues and fairs across the country every summer and fall. My favorite of Sawyer Brown’s songs where those written by Mac McAnally including “Cafe On The Corner,” “All These Years,” and “Thank God For You.” McAnally is a master at writing simple yet thought-provoking country songs. “Cafe” is the perfect example of what a country song should be – a socially conscious story song that spoke to the current climate of America. Songs like that are sorely missing from country radio today. I’ve always enjoyed Mark Miller’s voice – he can do uptempo songs with a great energy yet turn around and produce some very tender moments with ballads. His delivery on songs like “All These Years” and “Treat Her Right” made him a delight to listen to in the 90s. He never got the acclaim of, say, a Ronnie Dunn, but he’s just as good. I would put Miller and Marty Raybon in the same category of underrated voices. I’m glad to see Sawyer Brown getting their due on this list. I’m betting that most people wouldn’t think to look deeper than “Some Girls Do” or “Thank God For You” to find their real worth. Radio (including Sirius/XM’s Prime Country) has all but ignored their best material which is a real shame. They had more standout moments in their career than most of their contemporaries. I can’t say I care for any of their music post- Drive Me Wild, but they have some really classic moments worth celebrating. The only song of their’s I cannot stand is “Step That Step.” The 80s sheen is too much for me. We had their Shakin’ album on cassette and played the hell out of it in the car. Mind you, we didn’t have a tape player built into the car; we used a portable tape deck and turned it all the way up. My brother loves dogs, and being the spoiler, so he immediately latched onto “Billy Does Your Bulldog Bite,” which he insisted we play over and over. The rest of the album is pretty fun, too, including “Betty’s Being Bad,” “Out Goin’ Cattin'” and the titular “Shakin’.” I always gave the band points for the Cincinnati Reds ball cap prominently worn on the Shakin’ album cover. Thanks for this, I had forgotten about alot of their songs and went a youtubed their 90;s. Those songs took me back to when I was a kid and really just made my day! I miss those days! Mark Miller has a strange, but cool voice. “The Walk” is my favorite SB song, but they’ve got a ton of great ones. I do think Miller is highly underrated, but in my mind, he isn’t in the same league as Raybon or Dunn (I don’t really place much of anybody in that category). Maybe Larry Stewart, whom I also feel is undervalued as a vocalist. I concur about the Mac McAnally tunes’ being Sawyer Brown’s best, as well as the general consensus that the second stage of their career was better than the first. I agree with the last two that Miller’s voice is very good (and distinctive), but not in the same class as Marty Raybon (and I also have an affinity for Henry Paul’s voice as well). My favorite Sawyer Brown song is probably still Cafe Down On The Corner, although I really like The Walk and This Time as well. 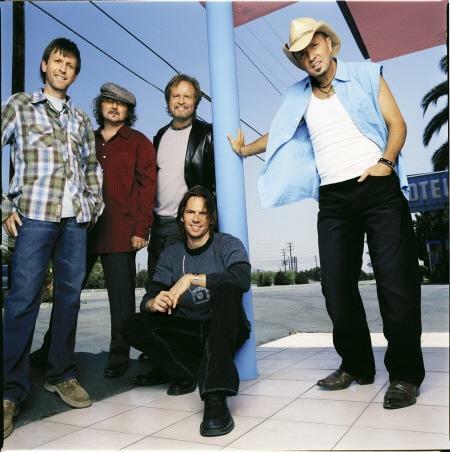 Sawyer Brown is one of my all-time favorite country bands, right there with Alabama and Restless Heart. A great song that they did and one nobody probably has heard, is “Another Side” off the Six Days On the Road album. It’s a song about the civil war, if you haven’t heard it then go listen to it immediately.